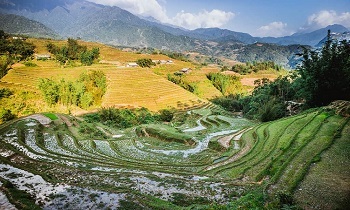 Sapa is one of the highlights on Northwest mountains with majestic natural scenery and unique culture. Traveling to Sapa, don’t forget to visit these attractions. That is one of the famous spots where to go in the town that many people love. Using the word "myth" may be too much, but conquering the roof of Indochina, standing on the altitude of more than 3,143 meters, and feeling the full enjoyment of a victory, etc. are probably the experiment which not everyone has. Sometimes, it becomes the dream of many people. The dream is only in the past when the road is new and challenging to go. Before, the fastest way usually took travelers up to 2 days and 1 night to the top. However, for now, the cable car makes everything simpler. 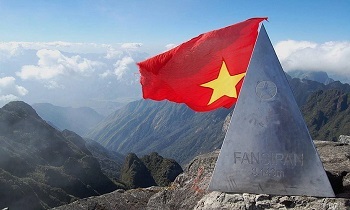 It only takes you half a day to get to Fansipan (the highest mountain in the Indochina). The ticket price is VND 700,000/person. One thing you should remember is that you have to prepare both physical and mental health if you choose a Sapa walking tour. The cost of Fansipan tour now is from VND 1.300.000/person (standard tour), but the journey is also up to VND 2.5-3 million/person depending on time, tour guide, and quality service, etc. Now you can ultimately conquer Fansipan in a day: start climbing in the morning, up to the top, and go down by the cable car back to Sapa. 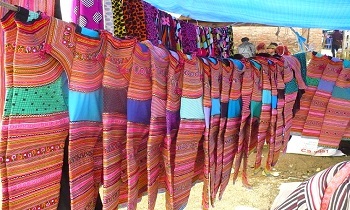 Traveling to Sapa is still the most fabulous fun, even if you walk ten kilometers through a village to another village. 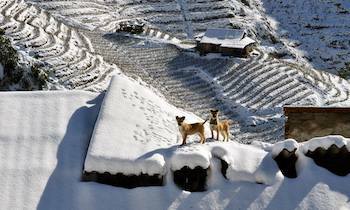 It is a feature of Sapa tourism, and it is also one of the longest walking destinations in the world. Visiting these villages, you not only go through the bridges, streams, terraced fields, watch the life of ethnic minorities, etc. but also stay in the homestay with local families. You will eat ethnic dishes, sleep on the stilt houses, chat to understand more about the history and culture of ethnic minorities in the Northwest. There are now six ethnic groups living here. It will undoubtedly be an exciting experience of life and people, not just nature! 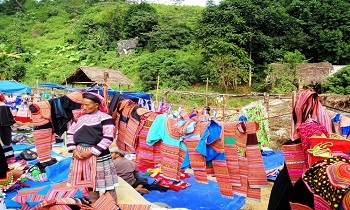 Lao Chai - Ta Van is one of the most exciting and beautiful villages Sapa. You can go from Cat Cat village (but need an indigenous guide), through Muong Hoa valley to Lao Chai (these two are home to the H'Mong people). Finally, from Lao Chai to Ta Van where the Day ethnic lives, there is a gorgeous terraced valley. At the end of the stop, you stay at Ta Van for a night, rest in nature, and are in harmony with nature. It is an indescribable feeling. 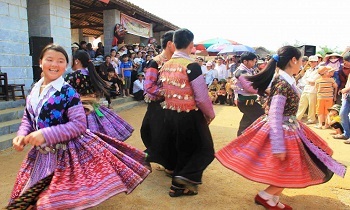 Ta Van - Lao Chai is most beautiful in two seasons (April-May) and rice harvest (September). You can buy one day Sapa tour homestay (VND 270,000/person - including lunch), hire local guides (about VND 200,000-300,000/day) or explore by yourself. Ham Rong mountain lies in the heart of the town, is an ideal place to enjoy the panoramic view of Sapa. 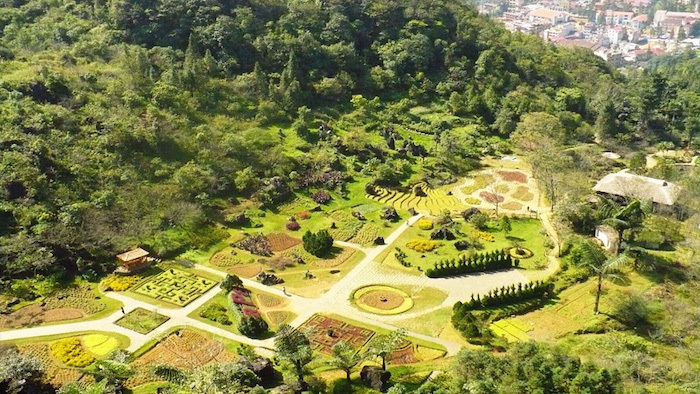 To get here, you have to buy the ticket at VND 70,000/person. 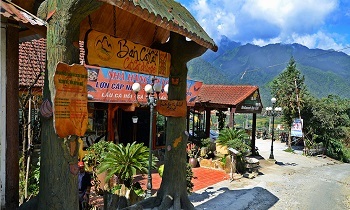 It is a tourist destination that is well invested and looked after in Sapa. There is also a company specializing in growing flowers, weeding, and decorating the site. In the climbing trip, you’ll encounter a lot of flowers with all kinds and full colors. Climbing on top of the mountain, you can take pictures of the entire town and zoom-in to the top of Fansipan. On cloudy days, standing on this place, you can see the scenery sank in the beautiful clouds. 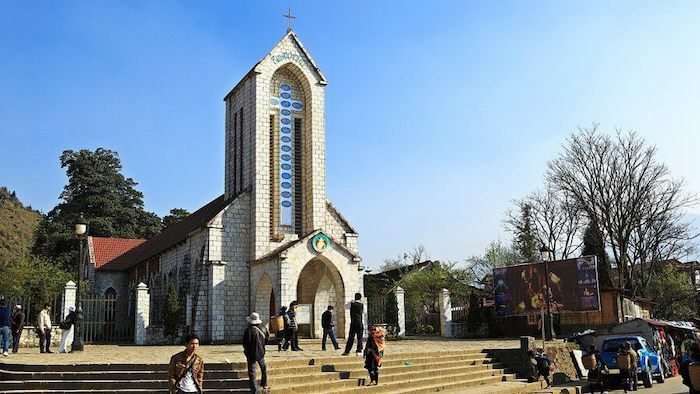 Constructed in 1895, the church is an ancient work in the heart of the town, bearing the French architecture in Sapa. Another one is Holy Rosary church, built in Gothic style with a dome and glass windows to draw the life of Jesus. It experiences many ups and downs but still stands as a symbol of Sapa. This beautiful building is easy to find. In front of the church is the square, where the art performances are displayed on the weekends. 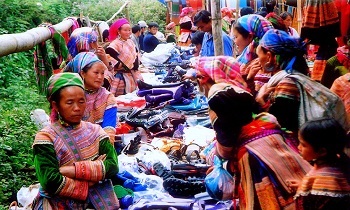 On the sidewalk, the Dao and H'Mong ethnic women sit and sell brocade. It is near the center of the town, about 10 kilometers on the road to Tram Ton (you can ask people or motorbike taxi - very easy to find). 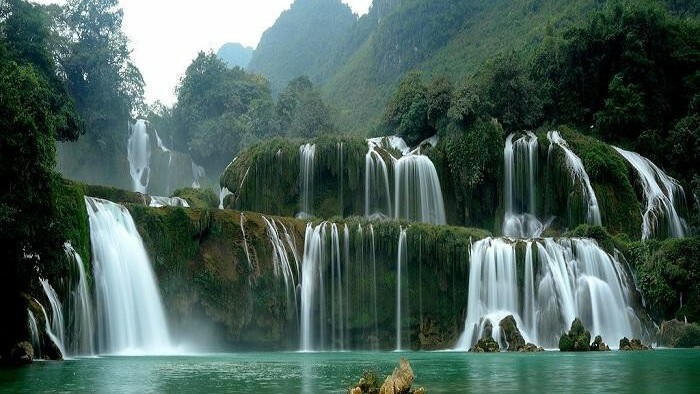 On the way, you can see and hear the sound of the Silver waterfall from a distance. It is beautiful and attractive when viewed from above. However, the spring here is dry. At the foot of the Silver waterfall, there is a salmon farm you can visit. 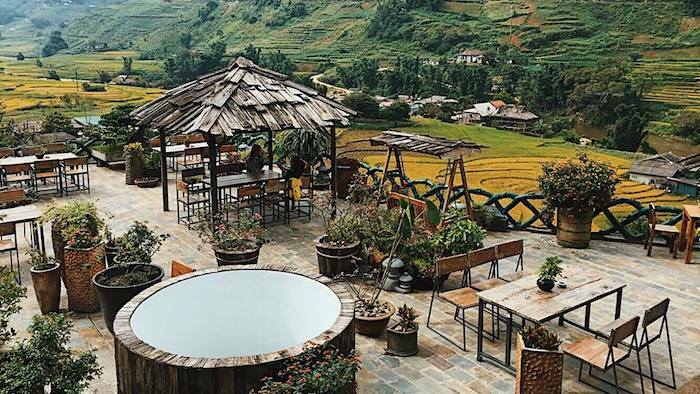 Above are 5 ideal places for you to visit in Sapa. Of course, there are many other exciting places of interest here. If you need further information, don’t hesitate to let us know or visit our website. Let’s go and experience by yourself! Thank you.